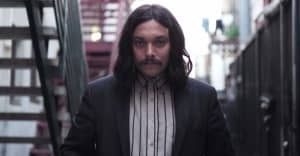 As Los Angeles-based band Drugdealer gear up to release their latest full length Raw Honey next month, the band offer up a new single today. Stream “Honey” up above. The track features contributions from Natalie Mering a.k.a. Weyes Blood, and follows the band’s newest single "Fools." This May, the band will also kick off a spring/summer tour in support of the album. The trek will begin after two album release shows in New York and Los Angeles and will run through Europe before hitting the States until August. Check dates here. Raw Honey is due out on April 19 via Mexican Summer. Thumbnail courtesy of Richard Quintero.